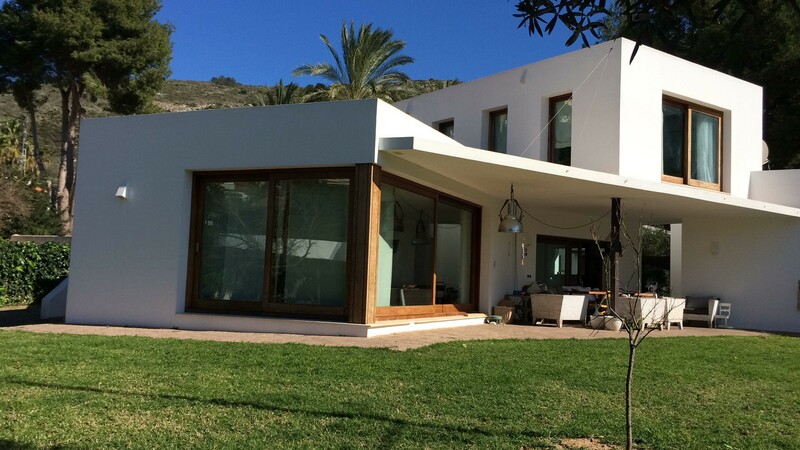 A recently built Ibiza style 4 bedroom / 4 bathroom property in upmarket Moraira. 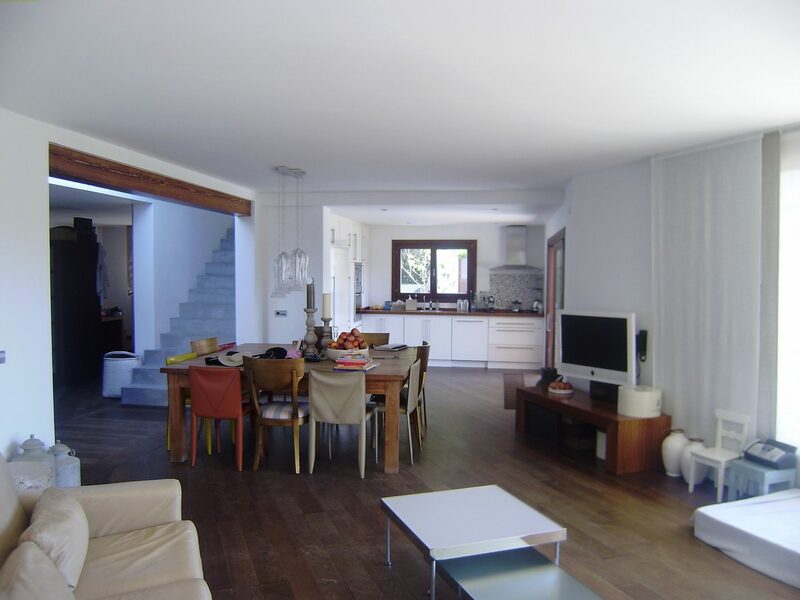 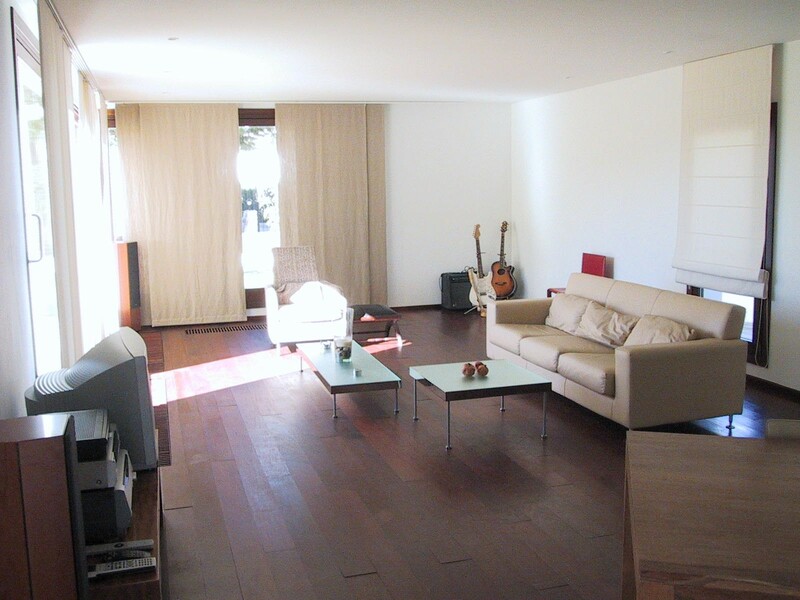 The villa is South facing with lots of large windows making the open plan living areas light and airy. 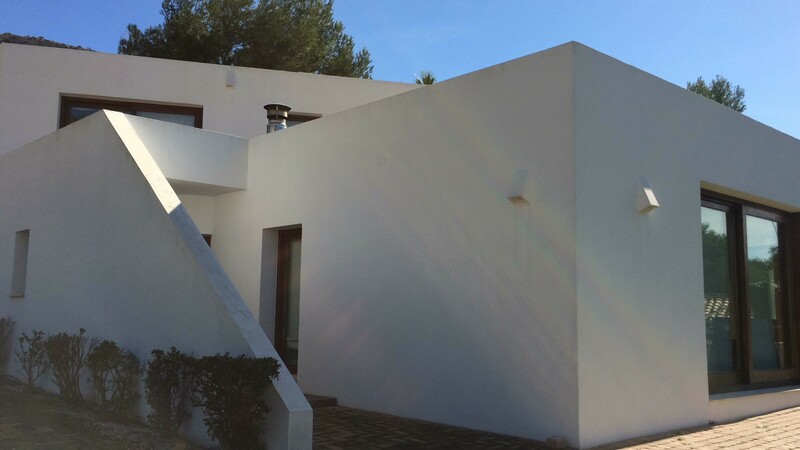 Outside there is a covered dining area that looks over the garden towards to private pool. 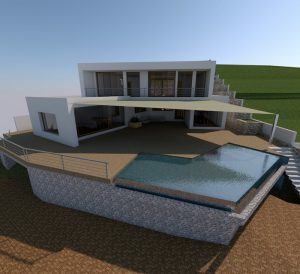 The villa is built to a high standard and has all the modern conveniences expected of a property of this type.